Share the joys of minimalism with your whole family. Make room for what really matters. Minimalism for Families shows you the real costs of the things you own and helps you discover that cutting non-essential items makes for a happier, more satisfying home and life. Spend less time stressing about your stuff and more time together. 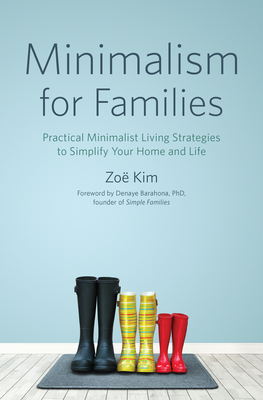 Filled with practical advice to help you and your family clear out your house, Minimalism for Families helps you build stronger bonds, spend more time together, and start enjoying the benefits of living clutter-free. An introduction to minimalism-Find out what minimalism really is and how it can make for a happier household. A family approach-Discover how to handle family resistance and get everyone-including your children-to embrace minimalism. Practical, room-by-room advice-From the kitchen to kids' rooms, get easy-to-use tips for creating and keeping a simple home. Bring the benefits of minimalism to your loved ones with Minimalism for Families.